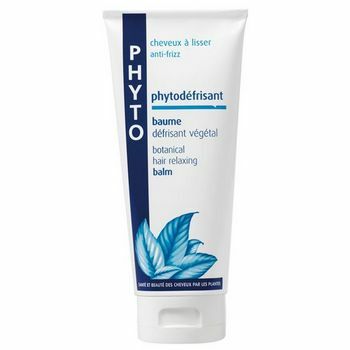 Phytodefrisant is a relaxing balm for all hair types, naturally curly or permed hair. Ferula, horseradish and garlic extracts coat and straigthen hair without any chemical action. The non-oily formula won't weaken hair. Imparts shine as hair is blow-dried.